Did you know that the value of your options can fluctuate with interest rates? If not, then you should familiarize yourself with Rho. Rho is one of “the Greeks,” or statistical measurements that help you evaluate options contracts. Specifically, Rho measures how much an options price will change based on a change in the interest rates. Although that may seem like a simple concept, there’s quite a bit to unpack in that last statement. We’ll cover it all in this guide. You might be wondering why interest rates have anything to do with options contracts. After all, interest rates are related to debt securities while stock options are related to equities. There’s a very good reason why interest rates affect the price of options. It’s because of risk. Why? Because they’re backed by the full faith and credit of the U.S. government. In spite of its debt, the federal government doesn’t appear to be going bankrupt anytime soon. So you can earn a return on your investment with little worry when you buy government bonds. That risk-free rate impacts the interest rates on brokerage accounts which in turn affects the cost of carry. 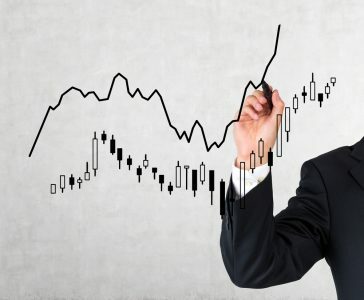 It’s often the case that professional traders use borrowed money to purchase stocks and options. The interest expense incurred is referred to as the cost of carry. That cost impacts option prices. Why? It’s all about how interest rates affect the supply and demand of options. As interest rates increase, call options increase in price and put options decrease in price. As interest rates decrease, put options increase in price and call options decrease in price. Let’s look at an example that explains why that happens. Suppose you’re an active trader. You see that Skechers (NYSE: SKX) is trading at $32 per share and you believe it’s poised to pop. At this point, you can either buy shares of SKX or you can buy a call option. The advantage of a call option is that it’s cheaper but you can earn the same return in dollars. However, unlike stocks, the option has an expiration date and it’s subject to time-decay. If you bought shares of the stock, though, you’d have to pay a lot more money. It would cost you $3,200 to buy 100 shares while it would only cost $130 to buy next month’s at-the-money call option. You check current interest rates. You see that they’re low. As a result, you would earn very little return by keeping cash parked in your brokerage. Also, you would pay little in interest on the money you borrow to buy 100 shares Skechers stock. So you decide to buy the stock outright instead of buying the call option. Do you see what happened there? The interest rates affected your investment decision. In this case, you were less likely to buy a call option because of low interest rates. Now multiply your sentiment times thousands or tens of thousands of traders all over the country. If they all think like you, they’ll buy shares of stock instead of a call option. And what happens when demand for a call option drops? Basic economics teaches us that the price will drop as well. You might be wondering at this point why it’s different for put options. In other words: why does the price of a put option decrease when interest rates increase? Let’s look at another example to answer that question. Suppose this time you believe that Skechers will drop significantly in value. If you want to make money off the stock, you can either sell the shares short or buy a put option. Assuming that interest rates are very low, as we’ve seen before, which would you rather do? Think about it. You’re not earning much on interest, so you have little incentive to short the shares of stock and reap the benefits of interest from the cash you receive. However, if you have to borrow money to buy the put option, it won’t cost you a whole lot in interest. The best course of action is to buy the put option. Once again, multiply your decision times the number of active traders all across the fruited plain. If they decide to buy a put option in this low interest rate environment, then the price of the option will increase as demand goes up. Ah, yes. Back to Rho. That’s the whole point of this article, isn’t it? Rho is the rate at which an option price changes for every percentage point change in the risk-free interest rate. So if the Rho for a call option is .05 and the risk-free interest rate goes up by 1%, then the price of the call option will increase by $.05 or a nickel. 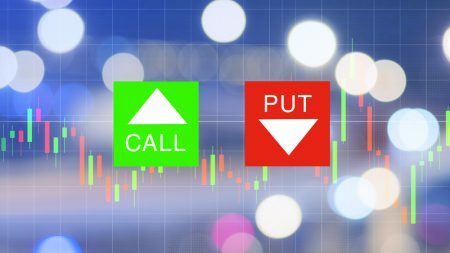 You probably won’t be surprised to learn that the Rho of a call option is positive (as in the example above) while the Rho of a put option is negative. That’s because an increase in interest rates causes a decrease in the price of put options. Does time to expiration have anything to do with Rho? Yes, quite a bit. Options that are closer to expiration are usually unaffected by interest rates because traders won’t hold the position for very long. The amount they would gain or lose in interest is negligible. However, long-term options (LEAPs) are very much affected by interest rates. You’ll definitely want to look at the Rho on those options before making a trade. If you think that interest rates will change significantly over the next several months, that would affect your decision to buy or sell an option based on its Rho. For example, if you think interest rates will skyrocket over the next 12 months, you probably wouldn’t want to buy a put option because its value would decline as the rates go up. And that’s on top of how much time-decay would take away from the value of the option as you hold it for several months. In short, if you’re an active long-term options trader who’s also interested in an interest rate profit, Rho can be your best friend.